Second hand pallet racking Archives - Shelving & Racking Ltd. 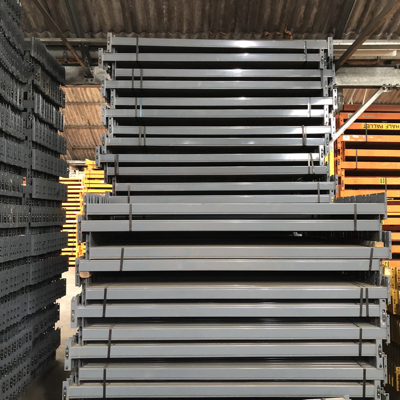 If you have never bought second hand pallet racking before, it can seem like a daunting prospect and one that you definitely want to get right for your business to operate successfully. Whether you call us, send an enquiry form or use the live chat option, our friendly and knowledgeable team will spend as much time as you need to ensure that you get the right warehouse racking system for your storage area. We have a huge range of used pallet racking in stock and so we can almost always find what you need at the best possible price. We always have large stock of the most popular pallet racking manufacturers, such as Dexion, Redirack, Link 51 and Apex, and usually have (or can source) most other makes. Our upright frames are usually bought by us at 8000mm-10000mm high, which means we can cut them down to whatever size you need. We have standard bracing in stock for 900mm and 1100mm deep frames, but we can adjust frames to a bespoke depth on request. All warehouse racking frames are supplied assembled and with footplates attached. 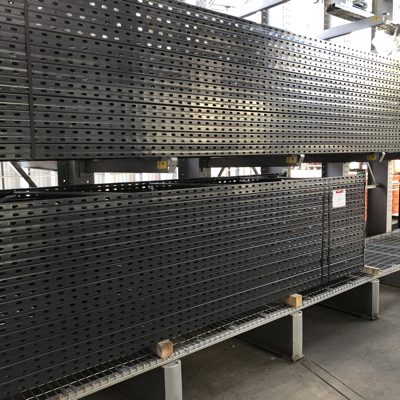 We stock pallet racking beams in a wide variety of sizes (from 950mm to 4000mm, depending on current stock) and load capacities up to 3 tonnes (uniformly distributed load) per level. If you let us know the space you have available and the size and weight of the goods you are storing, we can suggest a layout to help you make the most of your storage capacity. Get in touch with us now to discuss your options or to receive a quote with delivery to any UK mainland address. Just today we are delivering to Sheffield, Kent, Cardiff and Blackpool, so wherever you are in the UK we can get your industrial racking to you quickly and for a great price. Call us on 0800 612 3210 or send a message using the enquiry for and we will reply to you quickly.